A few weeks back, I wrote a guest post for Janine, about making the most of your alumni association. Here is the post on her Italian date night that she wrote for me, which is part of a series on her blog. The boyfriend and my fourth date was to a place that I long to visit…. Italy! First of all Italy has a very temperate climate for majority of the year and secondly they have AMAZING leather markets that I am dying to go and see. 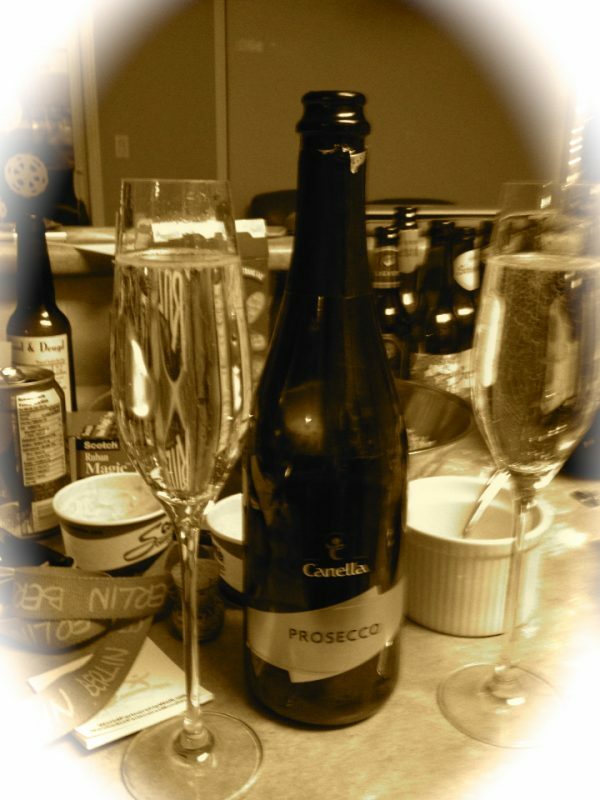 Drank Italian Prosecco – Oh soooo good! So far I would have to say this has been one of my favorite date nights! It was simple, like most of the dates have been but we always have such an amazing time. Taking time out of our busy lives to make sure we have one date night a month is definitely something I want to continue even after this year of dates is over. I love the idea of international date night. It would be not so fun with our five year old around but someday we'll bite the bullet and get a sitter! I love the idea, simple, fun and cheap! 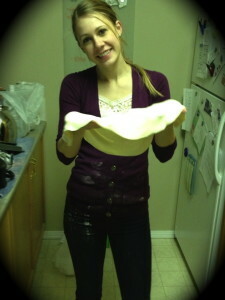 I won by BF's stomach doing homemade pizza, that is a weekly thing at our house now. If you haven't done France already, crepes are a favorite of ours too, super easy and delicious. Weekly home made pizza? Awesome! he is one lucky guy :) For his defense there isn't much to do around here, we don't go out often, so pizza is a real treat! We haven't done france yet! I'll keep that in mind, thanks for the idea! Great ideas. I'm no expert on romance but I can see a woman really liking those things. Although September 11th is your anniversary? Srsly? lol sorry I would personally just fudge it to Sept 10th or 12th. I could go for some myself :-) Themes are fun and simple and affordable to do as well!